An Ohio teacher was fired after he allegedly told a black student who said he wanted to become president that the nation didn't need another black commander in chief. 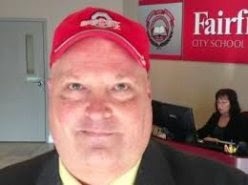 The Fairfield Board of Education voted 4-0 on Thursday night to fire science teacher Gil Voigt from Fairfield Freshman School, according to The Cincinnati Enquirer. "The district felt that the evidence was sufficient to support the termination of Mr. Voigt's employment," Superintendent Paul Otten said in statement. Voigt, who is white, did not immediately return a call seeking comment Friday but has said the student misquoted him, according to AP.